Omni’s Aluminum Plate has a fixed point for tripods, prisms & instruments. 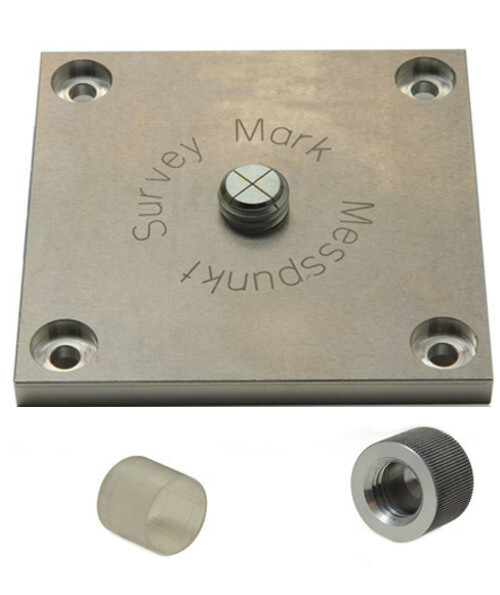 The measuring point has a 5/8″ thread for screwing on a prism or measuring instrument. The aluminum plate measures 4″ x 4″ x ¼”. It is also engraved cross as fixed point.This product is supplied with a protective cap for the 5/8″ thread.